When will be Dark Side of the Ring next episode air date? Is Dark Side of the Ring renewed or cancelled? Where to countdown Dark Side of the Ring air dates? 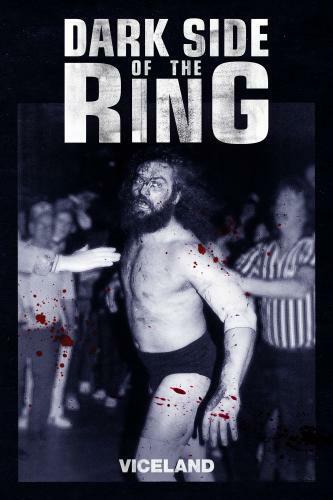 Is Dark Side of the Ring worth watching? The six-episode series will dive into the biggest controversies from in and out of the ring involving professional wrestling's most notorious superstars. Wrestlers relive the tragic evening in 1988 when they witnessed a locker room confrontation that resulted in the death of legendary wrestler Bruiser Brody. The last surviving brother of the legendary Von Erich wrestling dynasty revisits the tragedy that plagued his once iconic family. New revelations about her son's death are revealed to the mother of wrestling star Gino Hernandez, whose 1986 death was believed to be a drug-related murder. The legacy of wrestling's biggest female star, The Fabulous Moolah, is re-examined after controversial allegations surface following her 2007 death. Dark Side of the Ring next episode air date provides TVMaze for you. EpisoDate.com is your TV show guide to Countdown Dark Side of the Ring Episode Air Dates and to stay in touch with Dark Side of the Ring next episode Air Date and your others favorite TV Shows. Add the shows you like to a "Watchlist" and let the site take it from there.